Written by the famous muckraker Upton Sinclair in 1906, The Jungle was meant to be a tell-all story of the lives of American immigrants. Interestingly, the public outcry due to The Jungle‘s unflattering details of the meatpacking industry, including the use of borax on rat-infested sausage to sterilize it for sale, quickly brought about massive and sweeping reforms of the way American manufacturers produce food, such as the Federal Meat Inspection Act of 1906. Though this mission has since spread to poultry, the certification of equipment for medical analysis, and the certification of new prescription drugs, the effects of Sinclair’s book form the bedrock upon which the modern Food and Drug Administration rests. As an FDA Inspector, known to the administration itself as a “Consumer Safety Officer”, your job is to determine the facts regarding complaints of injury, illness, or even death brought about by the ingestion of food. This also extends to getting the ball rolling whenever a violator has been found, organizing the corner of the regulatory system that you call home, continually working to develop new inspection techniques, and assisting with the review of New Drug Applications, or NDAs. Given the highly scientific slant of employment at the US Food and Drug Administration, a solid college education is of supreme importance. Degrees rooted in the hard sciences, particularly biology, biochemistry, chemistry, engineering, nutrition and pharmacy, are highly competitive due to the FDA’s role as analyzer of all applications for new drugs. The FDA requires a minimum of a bachelor’s degree with 30 semester hours of coursework in relevant categories, though a master’s degree or doctorate-level degree will easily improve your chances. For exceptional cases with replacement work experience, the degree requirement can be waived, though the need to have 30 semester hours of coursework in relevant categories is not waived. Above and beyond the ability to function at a baseline level, employment in the vein of the Food and Drug Administration Inspector does not necessarily require any exceptional physical aptitude. That being said, FDA Inspectors of the meat packing industry must be able to hoist about carcasses, including that of beef and swine, which can get rather hefty, as they utilize various inspection tools. Be cognizant of this exception if you are not physically able to move about half a cow hanging on a hook. Given the FDA is in the business of policing the food and medicine supply of the United States, a background security investigation is absolutely mandatory. Arguably as important as the intelligence system of the United States, our food supply is one of our top priorities. As with other jobs in law enforcement or controlled by the central government, having a spotless record with the authorities is a surefire way to have an advantage when it comes time to apply to become one of those authorities yourself. 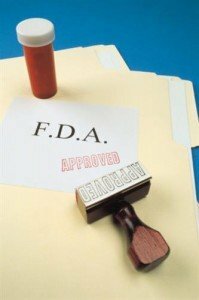 Once employed by the FDA, you are subject to additional background security investigations whenever the administration feels like it. You should expect no less from a government certifier of something so basic to the needs of a nation. Interestingly, though the background investigation used by the FDA will bring up convictions for the use of illegal drugs, many of the positions at the FDA do not require drug tests before the first day of work. This, like most policies that make the reader stop and smirk, can change at any time, so if you want to work at the FDA, don’t follow up on this gap in their logic.